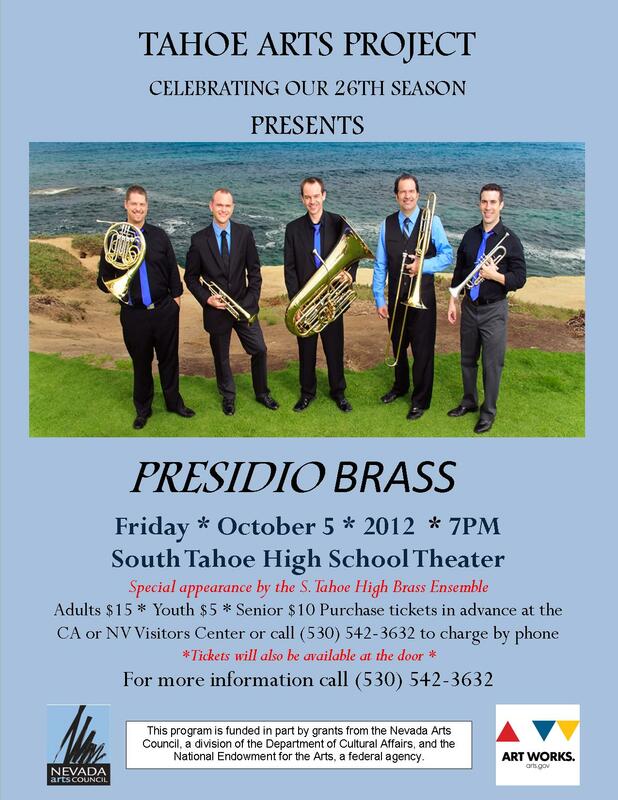 We are very excited to be presenting Presidio Brass to the schools this October. They will be here October 1st-5th, performing for various schools and hosting workshops. On October 5th we will have a community performance at 7pm at the South Tahoe High School Theater. Tickets are $15 for adults and $5 for children. Please call (530) 542-3632 for more information or to purchase your tickets. We hope to see everyone there!